Word Tower – A Word Game All Level Answers, Cheats, Solutions for iPhone, iPad, iPod Touch, and other devices with screenshots for you to solve the levels easier. This game is developed by Fugo. Word Tower adds an interesting twist to the word game. Instead of a fixed answer, there are multiple combination of answers for each puzzle. Solve each level by matching the length of words. 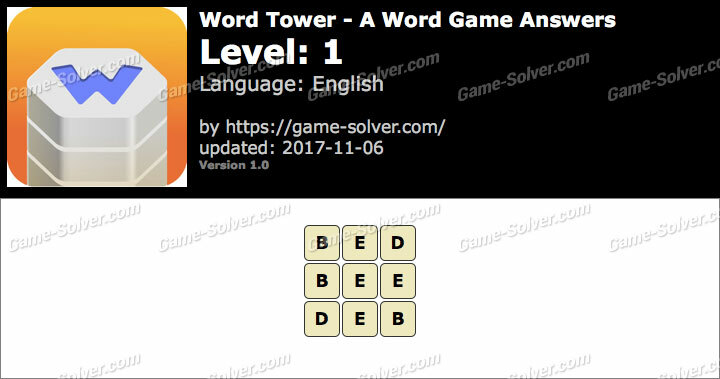 These are the Answers for Word Tower – A Word Game Level 1 with Cheats, Solutions for iPhone, iPad, iPod Touch, and other devices with screenshots for you to solve the levels easier. This game is developed by Fugo.